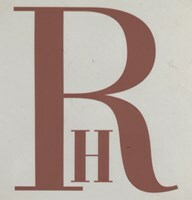 Richard Hames Carpentry & Building - Carpenter based in Bath, Avon. Richard Hames has been producing finely crafted renovation works in and around the beautiful city of Bath for over 30 years and has taken his work overseas to a number of locations including the Bahamas. He was born in Bath where he still lives and has gained a wealth of knowledge of the buildings, both both listed and non-listed in and around Bath. Richard takes the commitment of satisfying his clients very seriously. He listens, designs and works with the client to transform an initial seed of an idea into reality. His work includes hand made bespoke fitted units, kitchens, bathrooms, stairs, floors, windows, building extensions and loft conversions. Get in touch to learn more about my process and to see what I can do for you.